Well it was that time again, time to go acquire another water sample as part of the LSU Culture Collection and surveying of the microbial communities of Southern Louisiana coastline grant. 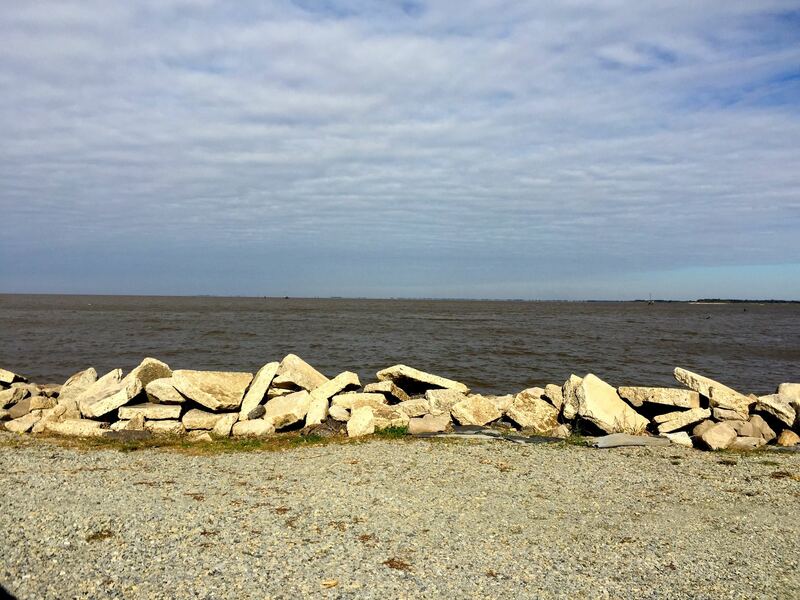 For this site, because we had a prospective student with us, we decided to pick somewhere to see the beauty of Southern Louisiana. Though I find myself spoiled having lived near Pictured Rocks National Lakeshore and Sleeping Bear Dunes in Michigan, there is nothing like driving along a road with over hanging Oak tree branches that are covered in Spanish Moss with the sun just peaking through. 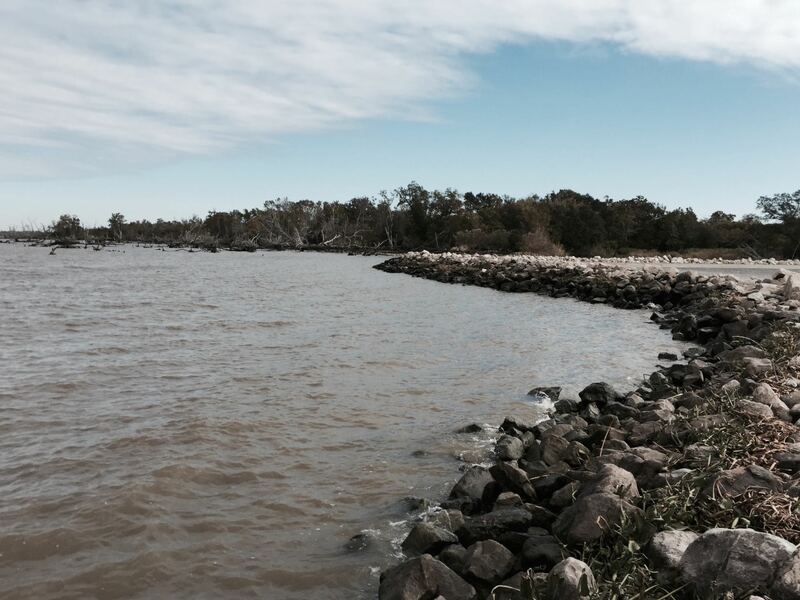 So we picked a site near the Atchafalaya River mouth, the site was Burns Point Recreational Park in Franklin, La. The “adventures” have become less dramatic as we have become more acquainted with how to properly get our act together, but this time instead of a change in site like the last time, it was just cold. Okay… for most of you not from the South, it wasn’t that cold. It was roughly 32-40F when we were driving and sampling and for someone from the North after the last winter this weather is getting close to shorts weather. The cool transition zone between the Bay and the swamp area. This was to the right of where we sampled. 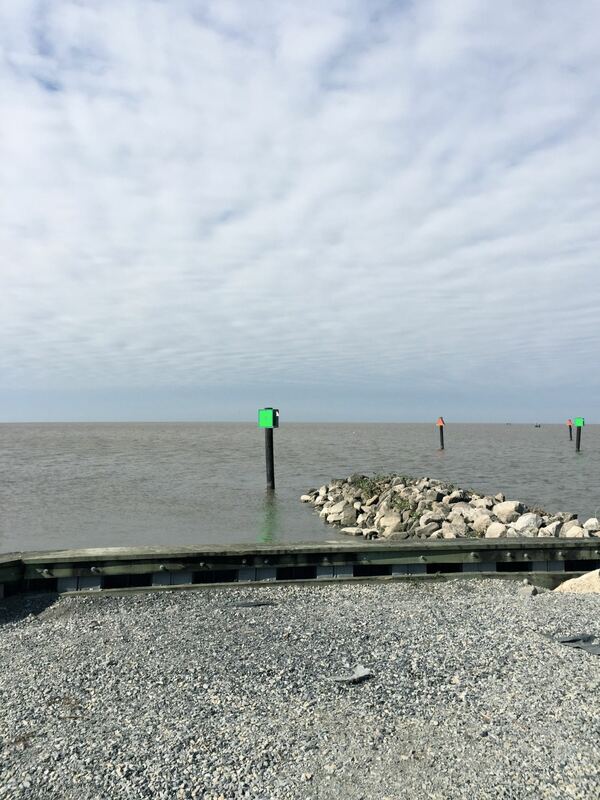 With the help of some friendly Duck Hunters of Louisiana, we were able to have a sample taken just off the launch site away from the shoreline and boat channel. Looking out towards Marshall Island and where our sample was taken. 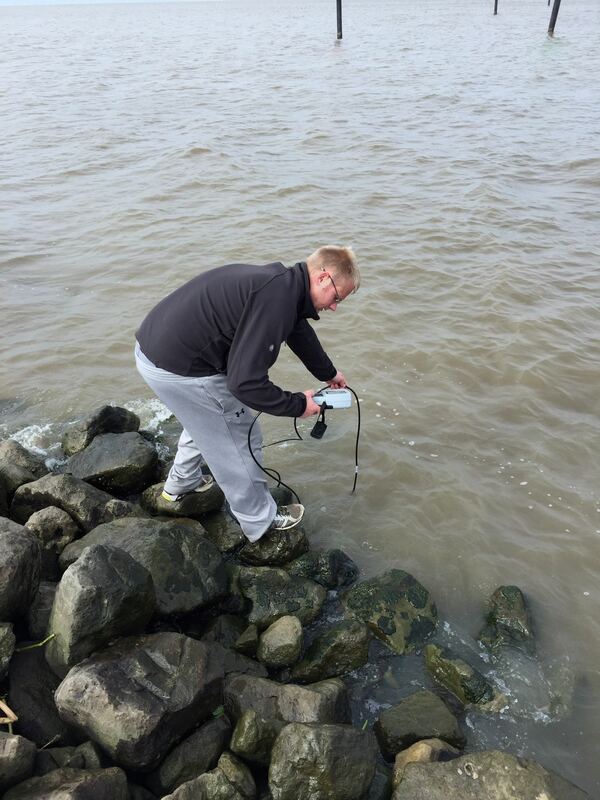 Once we had our water sample, we followed our previously demonstrated protocol (see https://thethrashlab.com/2014/10/08/thrash-lab-sampling-at-calcasieu-lake-jetties/) of filtering 100mL of water through a 2.7um prefilter followed by a 0.2um sterivex filter. We also collect water for nutrients and cell culturing. To compliment the nutrient data and to provide ever more information, we also took our handy YSI reader with us to get real time data from the site. Don’t say that as a Graduate student you don’t get to live dangerously, because I will have you know that those rocks were slippery when I took the YSI readings! Once all the data was collected and filtration done, it was back to the lab to prep the sample and inoculate dilution plates for cultures. So cheers to another round of successful sampling and here is to hoping we “Catch ’em all”.